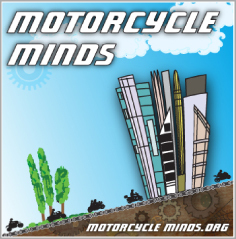 The Motorcycle Action Group (MAG UK) has put out a press release opposing the European Unions (EU) “well-intentioned but wrong” safety proposals regarding its new Road Safety Action Programme (RSAP) for the upcoming 10 years. 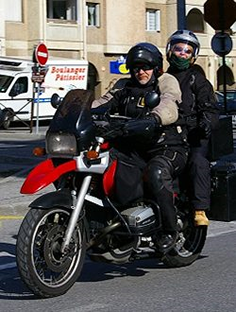 UK riders’ representative organisation the Motorcycle Action Group, has joined the Federation of European Motorcyclists’ Associations (FEMA) to warn that the plans will result in a worse deal for riders without delivering improved road safety. 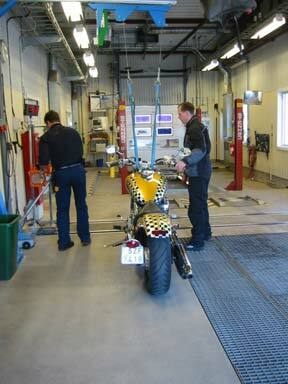 MAG UK has picked up a relevant point regarding the current Road Worthiness Tests, the MoT. If the European Commission proposals go unchecked they will eventually affect riders in Northern Ireland on what motorcycle you can buy – what you can ride and how you can ride it! The European Commission, the body that effectively governs the European Union, has published new plans to halve the number of road deaths by 2020. The Commission says its ‘Road Safety Action Programme’ includes “a new focus on motorcyclists”. Riders say that while the proposals are unlikely to mean overall improvement in rider safety, they will certainly reduce consumer choice and increase costs. The Commission plans to regulate biking through mandatory Advanced Braking Systems, headlamps being permanently lit and preventing riders from tuning or modifying engines. New standards for rider clothing will be introduced and the annual MoT test could be replaced by a new Euro ‘road worthiness testing’ system. Airbag technology in bikes and rider clothing is also being considered. Advanced Braking Systems remain more difficult to develop for Powered Two-Wheelers than for most cars. FEMA and MAG(UK) say the user must retain the right to decide on whether to use what remains an expensive and limited technology. The benefits of Automatic Headlamp-On to help riders be seen by other road users are increasingly doubtful, most cars and larger vehicles now run much stronger lighting in daylight hours. Anti-Tampering measures may prevent a minority of riders from tuning engines beyond the performance limits on the rider’s licence. However, they also prevent any rider from making legitimate improvements to fuel consumption or engine characteristics and increasingly requires special tools for basic maintenance and repair. 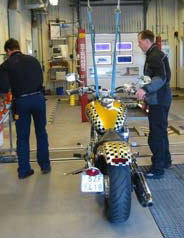 Current Road Worthiness Tests (such as the MoT) may be replaced by a new Europe-wide test requiring checks to see that riders only use maintenance and repair parts, luggage, accessories, etc. that are approved by the manufacturer of the original bike or the EU itself. Such a system would restrict choice and add further costs for the user even though vehicle defects contribute directly to a very small proportion of crashes. There is concern that commercial interests may be helping to drive many of the Commission’s proposals; restriction of the market for replacement parts, aftermarket equipment and maintenance facilities would almost certainly mean riders face less choice and more expense. Ironically, this could lead to new safety problems.